Elin Luque Agraz is a founding partner of Centro de Cultura Casa Lamm. She has devoted her career to promoting Mexican culture and art, carrying out several curatorships, publications and exhibitions. In the field of academic research, for the last 20 years she has been engaged in researching, rescuing and managing artistic heritage in the form of Mexican pictorial exvotos (votive offerings). Dealing with this subject, she has also taken part in national and international meetings that have published her work as part of their memoirs. Project coordinator: Biblioteca del arte (art library), June, 2000. Exhibitions coordinator: 1994 to date. Museography coordinator: 1994 to date. Publications coordinator: 1994 to date. Visual arts director: 1994 to date. Curator, Los relatos pintados - la otra historia, exvotos pictóricos, itinerant exhibition for the Mexican Independence Centennial and Bicentennial Commemoration Ceremonies, 2010-2011, SRE (Foreign Affairs Ministry)-CONACULTA (National Council for Culture and the Arts)-INAH (National Institute of Anthropology and History)-DGSMPC (Directorate General of Monuments and Sites of Cultural Heritage). Member, Academic Council of the Art History Department, Universidad Iberoamericana, Santa Fe campus, 2004-2007. General coordinator, Museographic Project for Establishing the American British Cowdray Medical Center (Santa Fe) Art Collection, Mexico City, 2002 to date. Member of the Board, Mexico’s Representation before ICOM (International Council of Museums), UN, 2000 to date. 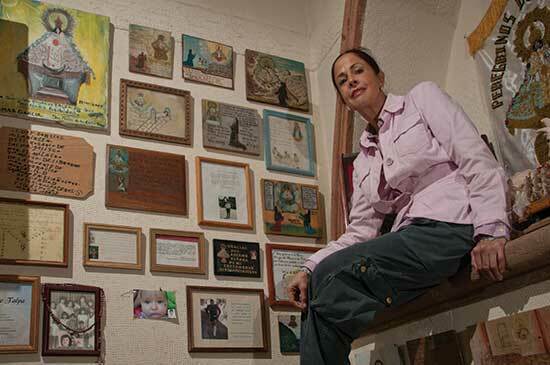 For the past 15 years, she has curated Casa Lamm’s exhibitions (www.galeriacasalamm.com.mx), more than 100 to date. These exhibitions have been documented in printed and digital catalogs. Curator, El camino hacia Aztlán: arte de una patria mítica, Los Angeles County Museum of Art, Los Angeles, CA., 2000-2001. Co-curator, Dones y promesas, 500 años de arte ofrenda (exvotos mexicanos), Centro Cultural/Arte Contemporáneo, Mexico City, 1994. - Coordinator, designer and manager of the Licenciatura (BA) de Historia del Arte official registry. No. 962173, October 21, 1996. Higher Education Directorate, SEP (Ministry of Education). - Special guided visits for seniors and the handicapped. - Courses, seminars and art workshops related to the temporary exhibitions.